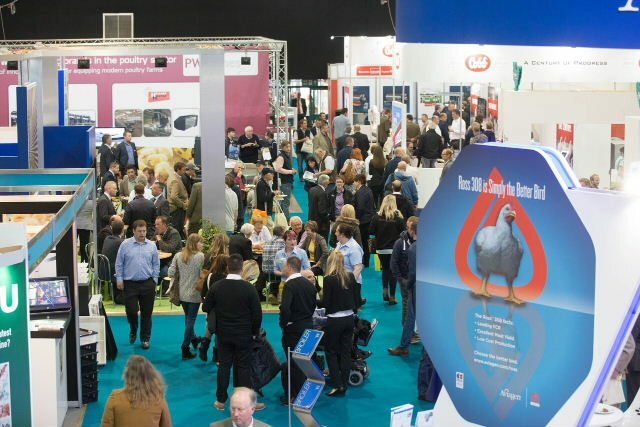 Visitors had plenty to see and do at the British Pig & Poultry Fair this week, with more exhibitors than ever before. More than 10,000 people attended the two-day show, to see new products, hear the latest advice, and catch up with suppliers and old friends. The forum programme proved extremely popular, with standing room only at many sessions. Producers queued up to hear the latest market outlook for pigs, poultry and eggs, as well as to learn about innovative feed developments from ABN and how to make marginal gains in performance to benefit the bottom line. BBC Farming Today’s debate on the impact of the EU referendum – which will be aired at 6.30am on Radio 4 on Saturday 14th May – attracted a good crowd, with passions running high on both sides. The panel featured AHDB chairman Peter Kendall, MEP Stuart Agnew, farmer Colin Rayner and poultry producer James Hook, and left the audience’s opinion fairly split. “An informal straw poll of visitors found that 37% were in favour of remaining in the EU, with 54% planning to vote out and the rest undecided,” said Miss Bell. The British Pig & Poultry Fair, partnered by ABN, was held at the National Agricultural Exhibition Centre at Stoneleigh, Warwickshire on 10-11 May 2016. To find out more visit www.pigandpoultry.org.uk.